meet with and buy directly from the artists. The Santa Fe Indian Market is sponsored by SWAIA (Southwestern Association for Indian Arts) but there is more than just art at the Santa Fe Indian Market. music. 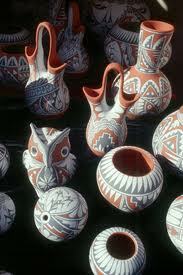 So when you wonder about things to do during your Santa Fe vacation, put the Santa Fe Indian Market at the top of your list. 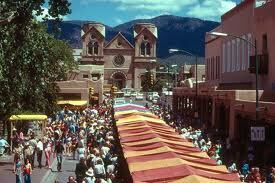 It is a wonderful way to experience Santa Fe during your New Mexico vacation. Casa Escondida B&B is a delightful New Mexico retreat, which has rooms available year-round. We are perfect for a romantic New Mexico getaway too. Contact Casa Escondida B&B to check room availability or to inquire about a reservation. Casa Escondida Bed &Breakfast is a green bed & breakfast, which provides pet-friendly lodging in 4 of our 8 guest rooms. 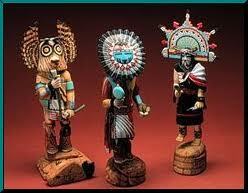 Enjoy your New Mexico travels AND the Santa Fe Indian Market! We look forward to having you as our guest.